The new R18 e-tron quattro visually differs clearly from its predecessor even though its basic structure is closely akin to the previous model. 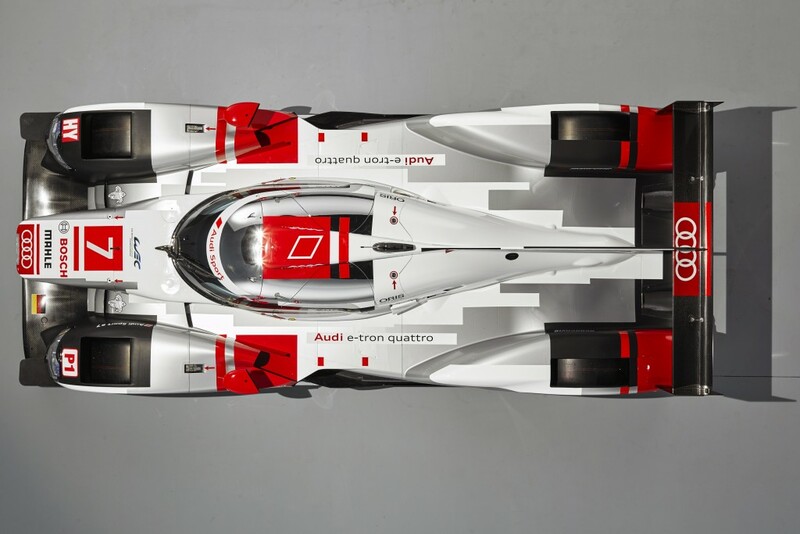 The fresh look results from a new way of conducting airflow around and through the front end, in the area of the sidepods and at the rear of the LMP1 prototype. Large air inlets in the front wheel arches reduce aerodynamic drag of the body and have led to an all-new design of the headlights. 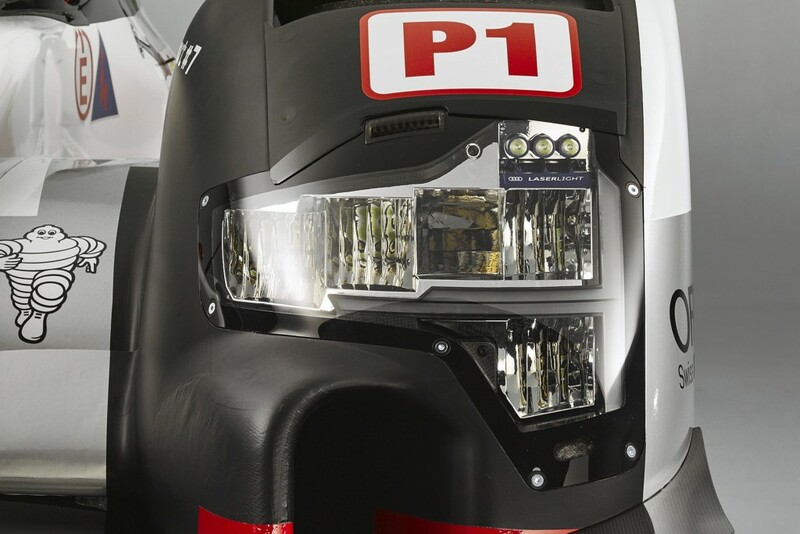 The lighting units feature Matrix LED technology combined with Audi Laserlight – two innovations that improve active safety in road traffic and that Audi customers can now order for their production models as well. 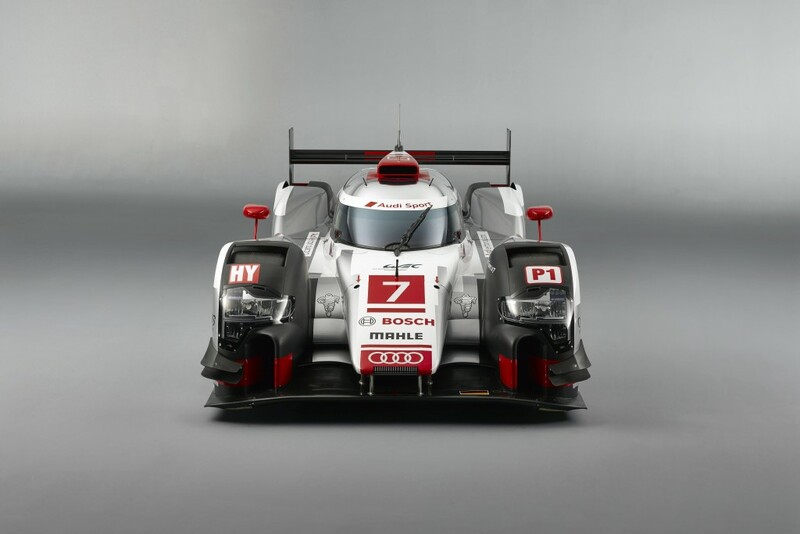 While Audi has adopted the monocoque – the central safety cell of the race car – from the previous model, the hood with the front wing and wheel arches features a new design. As this body element incorporates the crash structure, Audi performed a new crash test for the 2015 season. Modified airflow through the sidepods with new radiator configurations for cooling the engine and the hybrid system further optimizes aerodynamic drag. The engine cover, which encloses the unit even more tightly and notably tapers off behind the cockpit, contributes to this as well. This year, Audi is again preparing two body versions for the various tracks on the FIA WEC calendar. In combination with an optimized chassis and in close cooperation with tire partner Michelin, Audi has further improved the performance potential of its sports prototype this way. Hybrid pioneer Audi is taking the next step in the area of energy recovery as well. 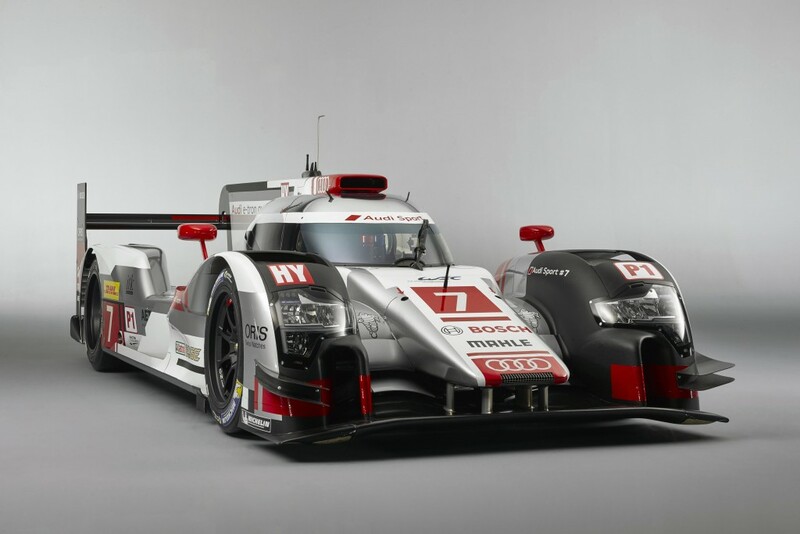 The company is the only manufacturer to date to have won the Le Mans 24 Hours with hybrid sports cars. Since 2012, the R18 e-tron quattro has been unbeaten in the French endurance classic. For this year, the engineers have doubled the amount of energy from 2 to 4 megajoules per race lap at Le Mans. During braking, energy is recovered which the system subsequently feeds back to the front axle on acceleration. The electrical machine that performs this task now delivers an output of more than 200 kW (272 hp), which is a significant increase compared to last year. Therefore, Audi has increased the capacity of the energy storage system as well. The encapsulated flywheel energy storage system that sits in the cockpit alongside the driver can store up to 700 kilojoules of energy that it subsequently returns to the electrical machine – which is about 17 percent more than in 2014. Despite these performance increases Audi has achieved the minimum weight of only 870 kilograms – notably in what is currently the world’s most complex racing category. The improved hybrid output, however, results in a restriction for the internal combustion engine. According to the sporting regulations the fuel-energy amount has to be further reduced if the engineers opt for higher hybrid output. As a result, the R18 e-tron quattro has to make do with 2.5 percent less diesel fuel per lap than in 2014. Not least for this reason, Audi has further developed the four-liter V6 TDI engine by performing a lot of detailed work to achieve the optimized consumption levels. The most efficient power-plant in the field now delivers 410 kW (558 hp). Due to its optimized consumption the developers have managed to more than compensate for the loss in output resulting from the reduced amount of fuel. As another new rule this year, only five engines per race car may be used during the entire season. The power-plant now delivering even greater fuel efficiency continues a major trend. 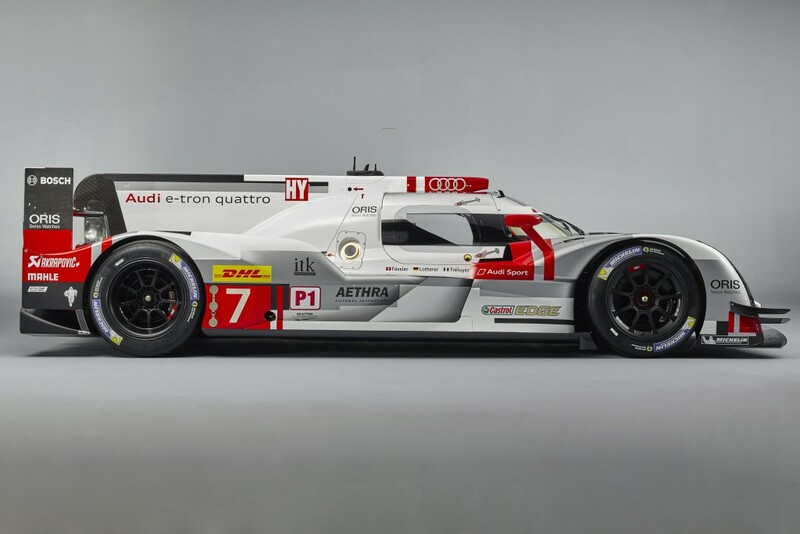 In 2006, Audi’s TDI engine debuted at Le Mans, followed by eight victories until 2014. While lap times continually improved, fuel consumption decreased by 38 percent during this period. 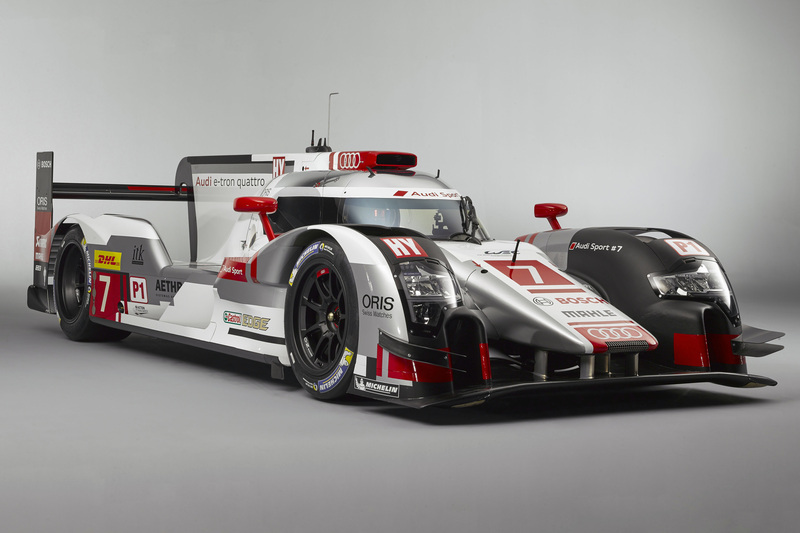 As a result, the youngest generation of the R18 emphasizes the purpose which motorsport serves at Audi in many fields. Ever since the first Audi quattro was fielded in 1980, the brand has consistently been using circuit racing and rallying for the development of forward-thinking technologies that are subsequently used in production – from quattro four-wheel drive to TFSI gasoline direct injection, to the further development of TDI engines, through to innovations such as Matrix LED light and Audi Laserlight. 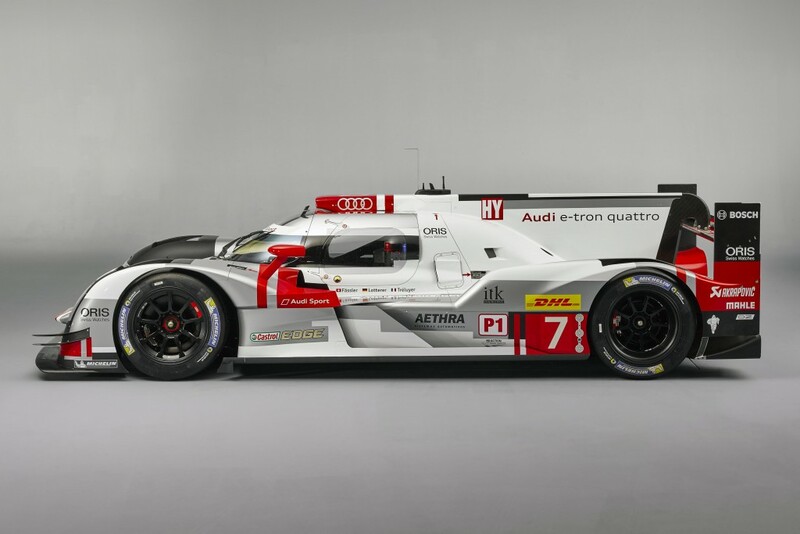 At the Geneva Motor Show in March, Audi unveiled two other innovations with a reference to motorsport. For the first time, the brand showcased a hybrid model – the Q7 – that combines the e-tron quattro principle with a TDI engine. And the new R8* is the first model featuring the Audi Space Frame as a multi-material construction. In addition to aluminum, the frame includes a component made of carbon fiber reinforced plastics (CFRP), a material that has long become a staple in racing.